Data Recovery labs has an extensive experience recovering data in all types of Snap Servers. We offer a free evaluation and recover data from any type and model of Snap Server exist. Our data recovery experts can recover the data in almost any case. In emergency cases we can recover the data on a snap server in a matter of hours. Onsite emergency response is available. Contact us to discuss the service options. 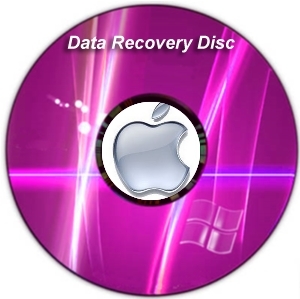 DATA RECOVERY recovers data from removable media such as CD's, DVD's, ZIP, Floppy, JAZ and more. Recovery of crashed media often involves intensive work in a clean environment (Clean Room class 100) and using specialized hardware and software tools to create the raw image. Logical recovery uses the raw image by examining the low-level data sectors and determining what fixes to file system structures are needed to get access to the important data. Sometimes the existing file system structures are missing or damaged so much that data has to be extracted directly from one or more fragments of the raw image. Once a recovery has been successfully performed, file lists are created and data validity and integrity is checked. Each recovery case begins with a free diagnostic to determine the potential for recovery and to provide a firm price-quote for your review. The initial diagnosis determines whether the media is accessible to our lab equipment so that logical analysis can determine the nature of the data loss situation. If the media is inaccessible our lab will test the components and closely examine its internal health to determine the extent of physical damage in media or logic. Failed components typically include electronics, read/write heads, head assemblies, magnets and drive motors or logic card or firmware issue .